She describes herself in her LinkednIn profile as a former 'Alinsky-style community organizer in Maryland, Delaware, Philadelphia and Massachusetts' who now works as a volunteer recruiter at Ashoka, a Virginia-based nonprofit that supports more than 3,500 social entrepreneurs. (from the article):" She describes herself in her LinkednIn profile as a former 'Alinsky-style community organizer in Maryland, Delaware, ..."
'Alinsky-style community organizer' says it all ! and many are too brainwashed or delusional to even notice. The rest believe they deserve to have double standards because they are certain they are morally superior to everyone else and have the right to demand what everyone else is allowed to do and think, even to the point of violence. People like her are indeed one of the enemies of this country. Like many Leftists, she lacks the self-control to be a functioning member of society. Throw the book at her. Sue her for money. Get her thrown in jail. If we don’t make these violent Leftists pay, we are going to see more of what we already see. 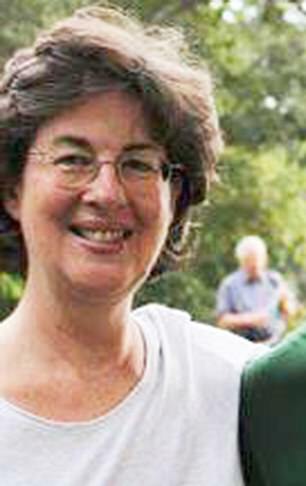 DailyMail.com is picturing Beth Inabinett, 63, for the first time. She faces a March trial in Maryland for second-degree assault related to an alleged physical attack on White House counselor Kellyanne Conway. 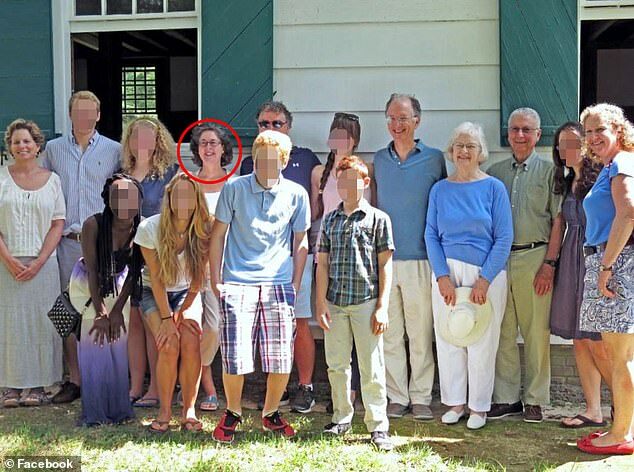 This photo shows Inabinett (circled) and her husband Andy Sharpless (the tall man at center-right) during a 2013 family reunion at a Maryland Quaker meeting house that teaches nonviolence. She is 63? At that age, don't you know that physically assaulting someone is wrong? No matter what your political differences. "Rule one for understanding leftists is that they normally are about as hypocritical as human beings can be and are the opposite of all they claim they are fighting for"
The main thing besides their warped and perverted ideas on the Left that makes them dangerous, is their nearly universal lack of self control. We have seen with the spying scandal on Trump what that lack of self control with Leftists who wield power yields, and we have seen with her, and people like James Hodgkinson (Scalise shooting) Jared Lee Loughner (Giffords shooting) and any number of mass shootings the majority perpetrated by Leftist kooks what happens with Leftist who DON’T have their hands on any levers of power. Vast swaths of the committed Left lack enough self control to be safely engaged in partisan politics, and we see things like this. The only thing that keeps them from committing more violence is that they are often to lazy or incompetent to do it, otherwise they would. At that age, don't you know that physically assaulting someone is wrong? No matter what your political differences. Well, maybe she needs about seven years to mull over that concept. SUE HER FOR EVERY PENNY SHE HAS!